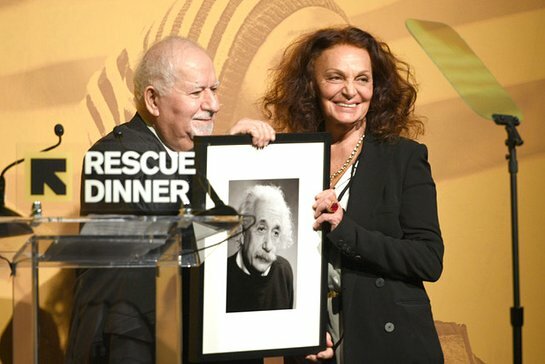 The International Rescue Committee honored designer and philanthropist Diane von Furstenberg with the Freedom Award and Larry Fink, Chairman and CEO of BlackRock, Inc. with the John C. Whitehead Humanitarian Award at the recent Rescue Dinner Benefit. The annual dinner raised $16.8 million to support the organization’s lifesaving humanitarian work around the world. The evening’s program celebrated two visionary philanthropists their pioneering leadership and significant contributions to IRC’s mission. The event also featured inspirational stories of courage, resilience and hope from IRC staff and beneficiaries. The Freedom Award, presented to Diane von Furstenberg, honors those who have made extraordinary contributions in support of refugees, and who have championed the cause of liberty, individual freedom and dignity. Diane von Furstenberg, a legend in the fashion industry, is a dedicated philanthropist and an outspoken advocate for vulnerable people. Larry Fink received the John C. Whitehead Humanitarian Award. The award was created in recognition of Mr. Whitehead’s half-century of transformational leadership of the IRC. It is presented annually to individuals who embody Mr. Whitehead’s spirit and passion for humanitarian causes and who have made significant contributions to saving and improving lives around the world. This year, the IRC honored his legacy by presenting the award to Mr. Fink, a global business leader who has been at the forefront of efforts to promote responsible, long-term business practices. 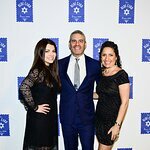 Broadway actress Ariana Rosario performed at the event and other attendees included: Belly, Jason Blum, Kathryn Bigelow, Tom Brokaw, Barry Diller, Keegan-Michael Key, Lester Holt, Dr. Mehmet Oz, and artist Marc Quinn. To learn more about the Rescue Dinner please click here.